House of Portobello, 8A The Cornstore, Cross Street Lower, Galway, phone (091) 535 895. 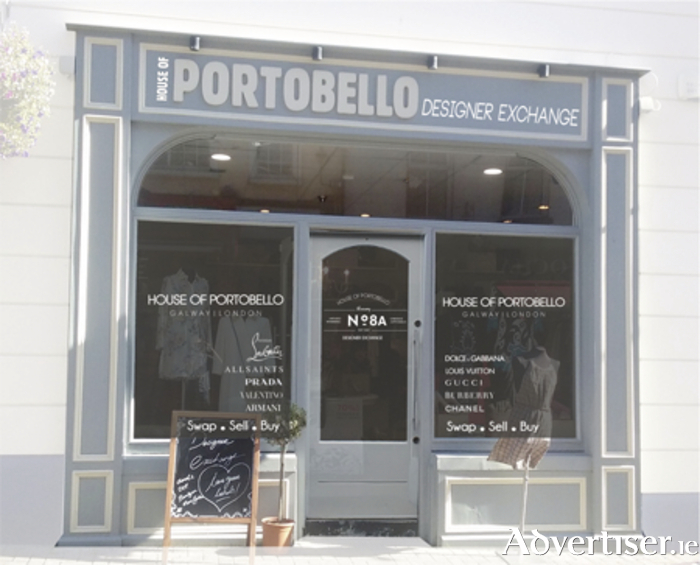 House of Portobello, a Galway boutique which lets fashionistas buy, sell, and swap designer labels, is celebrating this month after being named among the finalists of the presitgious XFA Xpose fafinder awards. House of Portobello has been shortlisted in the Best Vintage category of the awards, which are run by Xpose in conjunction with independent fashion app fafinder (formerly frockadvisor ). The popular designer exchange, located in Cross Street, is the only Galway store to be shortlisted in the awards and one of just a handful of finalists from outside Dublin. In an upcoming episode of Xpose, Sonya Lennon the Irish designer and businesswoman and co-owner of fafinder with Brendan Courtney, praises the quality on offer in House of Portobello, which offers a host of international designers at competitive prices, along with the excellent customer service. "We source fantastic labels and match them up with customers who are looking for them," said Gillian Quinn, owner of House of Portobello. "We give a lot of time to each client and really help them find what they are looking for, and if we don't have it we do our absolute best to find it for them and put them on our famous VIP list to be contacted when it comes in." This boutique accepts designer handbags, dresses, shoes, accessories, and perfumes, all in mint condition, and sells them for you. Alternatively, customers can swap their items for another designer piece. The shop is a treasure trove of coveted pieces from famous names such as Mulberry, Chanel, Louboutin, Gucci, Michael Kors, Celine, and Burberry. The XFA Xpose fafinder awards were established by Brendan Courtney and Sonya Lennon to celebrate Ireland's independent boutiques. To vote for House of Portobello visit www.tv3.ie/xpose/xfa and click on House of Portobello. To see the full range of the best international designers, new and once loved, currently in stock visit House of Portobello, 8A The Cornstore, Cross Street Lower, Galway, phone (091 ) 535 895.